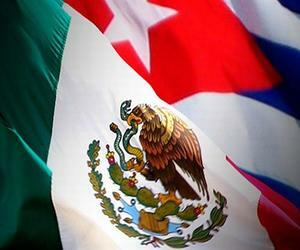 Cuban and Mexican authorities are meeting in Havana to boost bilateral exchange on regulatory issues, the pharmaceutical market and to explore business opportunities. Both sides are expected to sign a memo of understanding during the meeting which winds up on Wednesday. Mexican ambassador to Cuba Enrique Martinez told reporters that bilateral commercial relations continue to increase as well as links on research and health cooperation. Meanwhile, the first vice-president of the Cuban Biotechnology and Pharmaceutical Industrial Group (BioCubaFarma), Eduardo Martinez, said that they are considering a group of products and technology that could be of interest for Cuba. The Cuban and Mexican authorities have thus far agreed to setting up a technical team to sort out steps towards complete recognition of manufacture certificates and practices, as well as clinical protocols and sanitary registration. The Mexican officials are scheduled to visit companies with BioCubaFarma to evaluate opportunities in terms of services, products and expertise.